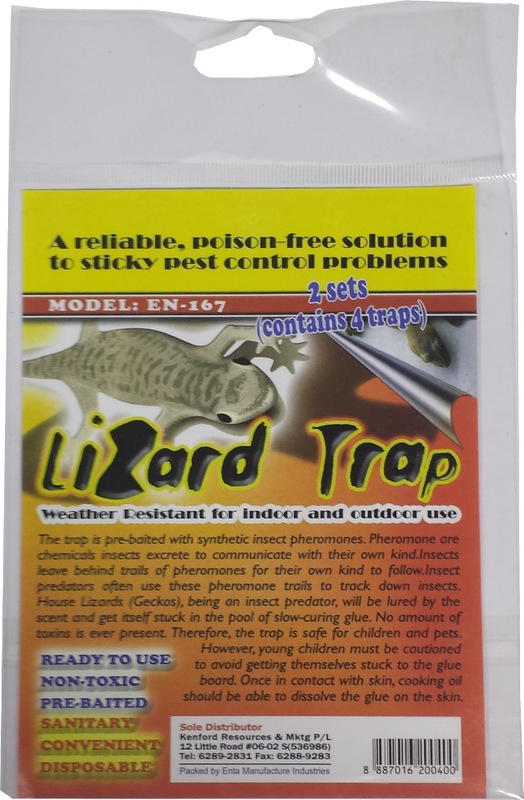 LIZARD TRAP (NON TOXIC) is rated 4.7 out of 5 by 3. 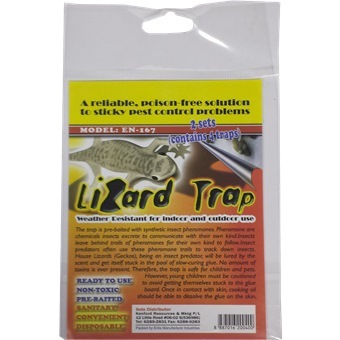 The trap is pre-baited with synthetic insect pheromones. Pheromones are chemicals insects excrete to communicate with their own kind. Insects leave behind trails of pheromones for their own kind to follow. Insect predators often use these pheromone trails to track down inserts. House Lizards (Geckos), being an insect predator, will be lured by the scent and get itself stuck in the pool of slow-curing glue. No amount of toxins is ever present. Therefore, the trap is safe for children and pets. However, young children must be cautioned to avoid getting them stuck to the glue board. Once in contact with skin, cooking oil should be able to dissolve the glue on the skin. Rated 4 out of 5 by G9HK from Very useful The packing was quite sticky when open up to use. Able to catch the lizard hiding in my kitchen after 3 days opened. Rated 5 out of 5 by Ben2409 from Very sticky and works very well. Item received as described. It's very sticky and works very well. Rated 5 out of 5 by chungbro from Really works !!! I bought this at NTUC for $3.20 which is more expensive. It really works ! !